Over the past 39 years, the Oregon 4A High School Baseball All-Star Series has been held at historic Legion Field in Roseburg. But on its 40th anniversary, the event will be permanently moving to the Willamette Valley to Bob Brack Stadium at North Marion High School. The Oregon 4A High School Baseball All-Star Series is held every June, dividing the top seniors in the 4A Classification into two teams, which play against each other in a three-game series. For decades the event has been held in southern Oregon, but as the scope of school classifications has changed over the years, the Roseburg location gradually became less accessible for 4A programs. "Unfortunately when they put this all together way back when, the Roseburg area was full of 4A high schools," North Marion High School baseball coach Randy Brack said. "All of a sudden, there's really no reason to be down there. Yeah, we still have Klamath Falls and still have the eastern Oregon schools — but (the Willamette Valley) is more of the hub. It's going to be a little more convenient for a lot of people." Located in unincorporated Marion County between the small towns of Hubbard, Aurora and Donald, Bob Brack Stadium has long been the home of the North Marion Huskies, currently of the 4A Tri-River Conference. 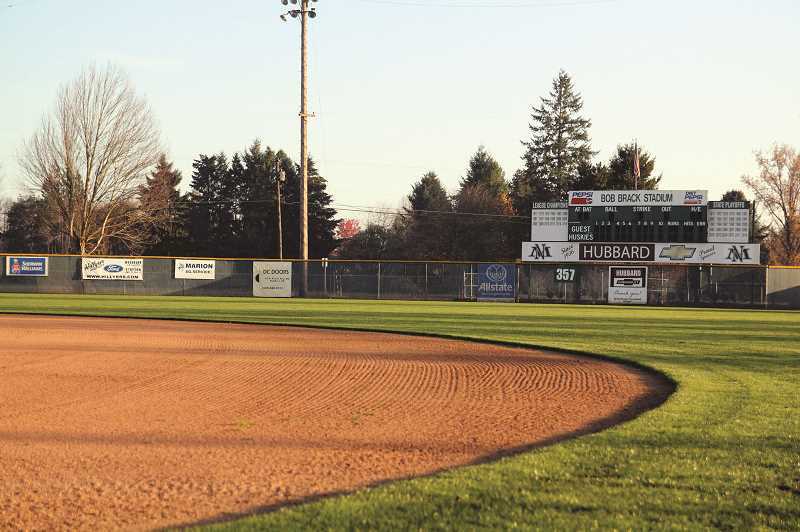 Randy Brack has served as the varsity baseball coach for the majority of the past 40 years, and along with his sons and assistant coaches Ty and Tucker Brack, has helped turn the stadium into a hidden gem just minutes away from I-5. "It's a good opportunity for us to showcase the facility and what we've got out there," Brack said. "For us to be able to host it, we're pretty excited about it." The baseball facility at North Marion High School frequently greets fans with new renovations each spring. In 2011, the program added a fieldhouse along the first base line near right field that measures more than 6,000 square feet and acts as an indoor hitting facility, training area, office, equipment storage and locker room for the baseball program. 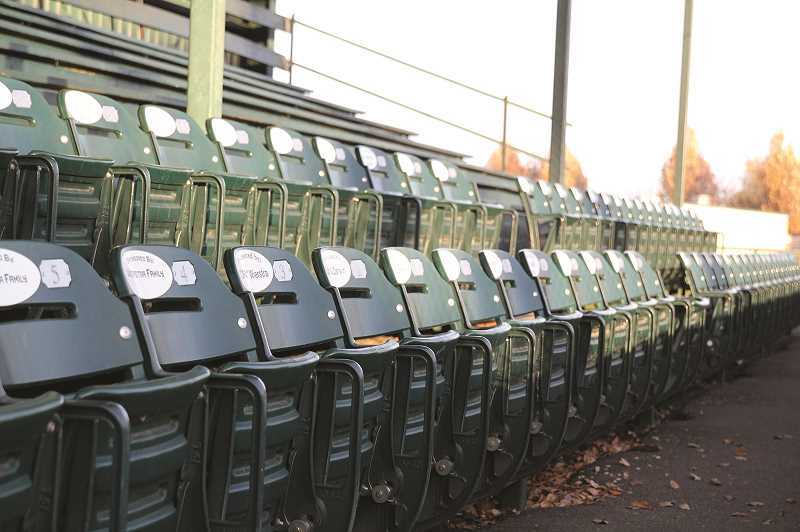 Recently, more than 100 individual bucket seats were added behind home plate and along the right side of the field, which underwent a recent upgrade that provided an elevated viewing area with seating that extended into foul territory. The new seating also blocked off foul territory near deep right field, which was turned into a bullpen for the home field team to warm up its pitchers. This year, a similar project is being constructed along the left field side to allow for a visiting team bullpen and additional bleacher seating. The annual upgrades come via a combination of program fundraisers, in-kind donations from community members and the donated time and efforts of Brack himself. "I'm working on a couple projects right now that'll allow us to have some more seating and be a little more fan friendly than it already is," Brack said. "The third base side will look similar to what we did down the first base side." Additional work this past fall includes repair and upgrades to the covered wooden bleachers behind home plate, filling in the gaps to provide for safer movement along the sitting area. 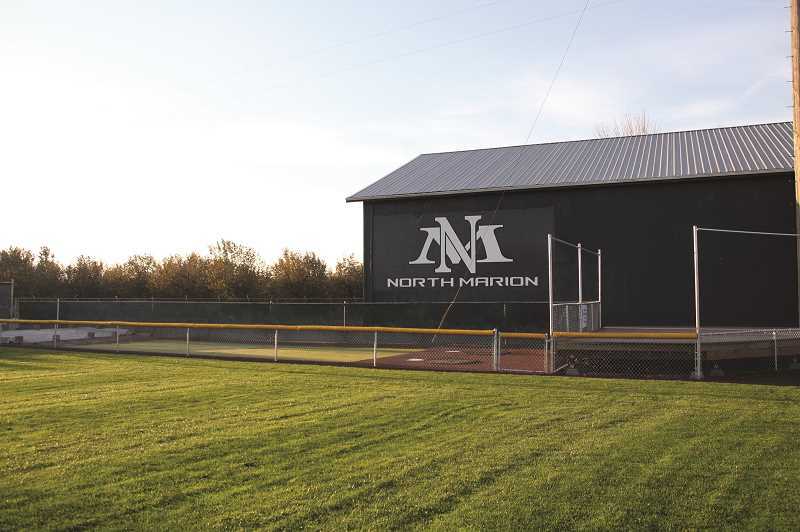 Brack and the North Marion School District will continue to work on the facility heading into spring and future seasons in an effort to create a warm welcome to new guests who will travel to the field this June for the 2019 All-Star Series. "We want to promote it," Brack said. "We want to spice it up a little bit and promote it a whole lot more and get people excited about it." Over the years, the Oregon 4A Baseball All-Star Series has seen a number of star athletes who have gone on to compete professionally, including Jacoby Ellsbury of the Oregon State Beavers and Boston Red Sox and Troy Palamalu of the Pittsburgh Stealers. North Marion has seen no shortage of players competing at the event, most recently with 2018 graduate Andy Schmitz, who was named the MVP of the series last year. "It's a real fun weekend," Brack said. "You're rewarding seniors that have probably played at their school for four years and they have been a First Team All-League player as a senior and they get to come and showcase their ability."